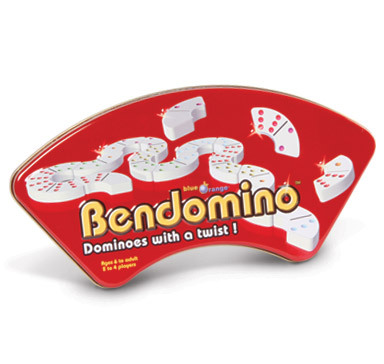 Bendomino plays the same as your traditional game of dominoes, but their curved shape introduces a new level of strategy: tiles need to match and fit. 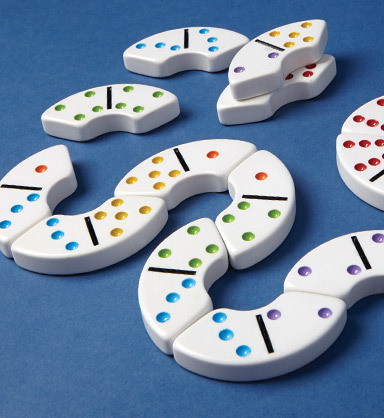 Watch as the dominoes wind and turn into a unique pattern; you’ll experience a new creative visual every time you play! Bendomino’s thrilling combination of chance and strategy brings everyone together for guaranteed good times!